Winners of the Management Consulting Association Award 2012 ‘Change Management in the Public Sector’ category working with Coventry City Council. IMPOWER are delighted with the award which is fantastic recognition of our pioneering work around behaviour change and all the hard work the team have put in to each project they have worked on. 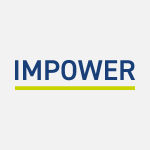 A big thank you to all the staff at Coventry City Council who worked with IMPOWER to make the project a success. Visit the MCA website to see the winners of the MCA Awards 2012 or read more in The Times supplement.